YTL is forming lower high. 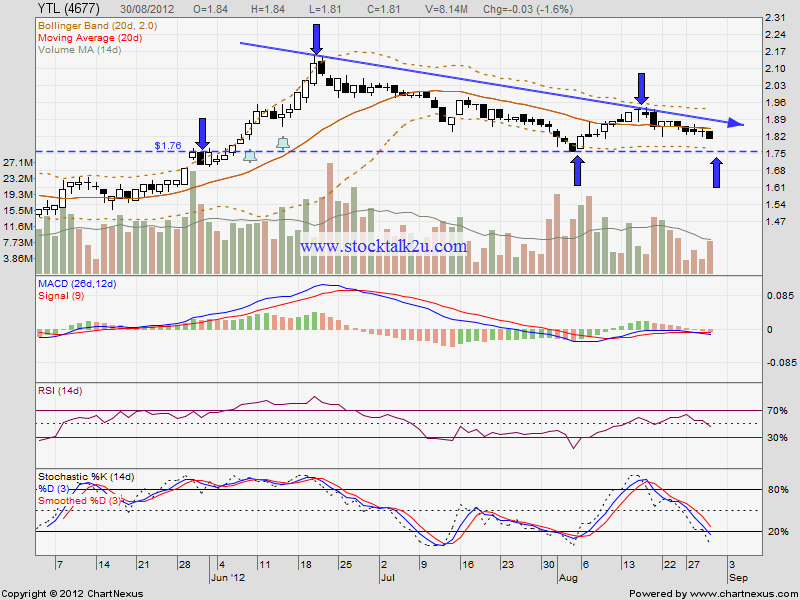 High probably it will retest immediate support, RM1.76 level. 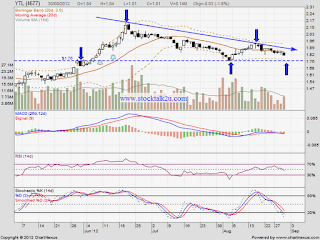 If break down RM1.76, lower low is confirm & potential facing high selling preasure. If rebound, it must at least higher than RM1.92 high, it will turned uptrend.